The number of volcanic earthquakes beneath Tarumai stratovolcano increased during the second half of August. A total of 65 earthquakes was recorded in August. The Global Volcanism Program has no Weekly Reports available for Shikotsu. Tarumai exploded on 14 May at 2253, accompanied by volcanic tremor. A slight ashfall was observed 10 km NNE of the summit crater and a small pyroclastic flow consisting of pumiceous ash and blocks traveled 150 m SE from the vent. Sixteen hours after the eruption, geologists measured a temperature of 200°C at the base of the pyroclastic flow (30 cm below the surface). Smaller explosions occurred on 17 May, mantling the vent area with 1 cm of new ash. No further explosions had been observed as of 7 June. Tarumai, which last erupted in 1955, is characterized by conspicuous earthquake swarms, followed by explosive eruptions of andesitic magma, then lava dome extrusion. The number of earthquakes at Tarumai has been increasing irregularly for the past 10 years and increased sharply in the first five months of 1978 (figure 1). No eruption was associated with the somewhat smaller peak in seismicity that occurred in 1975. Figure 1. Monthly seismicity recorded at JMA's Tarumai Observatory, January 1978-June 1979. Arrows represent ash eruptions. Courtesy of JMA. Further Reference. Katsui, Y., Onuma, K., Niida, K., Suzuki, T., and Kondo, Y., 1979, Eruption of Tarumai volcano in May 1978: Bulletin of the Volcanological Society of Japan, v. 24, no. 2, p. 31-40. Information Contacts: JMA, Tokyo; D. Shackelford, CA. As of early July, no eruptive activity had been observed since the explosions of 14 and 17 May. Seismicity decreased to its normal level in mid-June after a 10-year increase preceding the May explosions. Tarumai erupted ash from 0910 to 0920 on 12 December. The ash cloud rose 200 m above the vent, which was also the source of small explosions on 14 and 17 May. Ash slightly darkened the snow in the summit area, but did not reach the foot of the volcano. A second ash eruption occurred on 16 December, with ashfall again restricted to the summit area. Seismicity remained at a low level (table 1). Table 1. Monthly seismicity at Shikotsu (Tarumai) in 1978. Courtesy of JMA. Ash eruptions continued through early January. Ash was ejected on 16, 26, and 29 December and on 5 January, falling on the summit area. Seismicity remained at normal levels through December. Ash eruptions continued through January. Ash was ejected on 5, 22, 23, and 27 January, darkening snow in the summit area, but no ash reached the foot of the volcano. Local seismicity increased sharply about 10 January, after several months of relative quiet. An irregular increase in seismic activity has persisted since 1967. Ash was ejected on 5, 8, 19, and 25-28 February, continuing the series of small explosions that resumed 12 December. The ash darkened snow in the summit area, but did not reach the foot of the volcano. The number of recorded local earthquakes increased from 201 in January to 427 in February. Ash eruptions continued in March. Ash fell on the summit area on 1, 2, 4, 6, and 8 March but did not reach the foot of the volcano. Seismicity declined considerably in March, but remained slightly above the monthly total for January. Eruptive and seismic activity declined substantially in April. Only one [ash eruption] took place in April, on the 13th, causing a small ashfall in the summit area. The monthly number of recorded earthquakes dropped from 223 in March to 70 in April. The decline in activity continued through May. A single small ash eruption occurred in May, on the 11th. Ash fell in the summit area but not reach the foot of the volcano. Monthly recorded earthquakes decreased slightly from 70 in April to 66 in May, but the number of tremor events dropped more sharply, from more than 40 to 9. The tremor events, each lasting a few minutes, were thought to be generated by vigorous activity at a vent. The strongest of this activity was visible from the base of the volcano. No explosions or tremor events were recorded in June. However, the number of local earthquakes, which had been declining since March, increased in June. The number of recorded earthquakes declined to 58 in July after rising sharply to 142 in June. No explosions were observed in July, nor were any tremor events, which are presumably generated by [ash ejection]. An increase in the number of local earthquakes and a resumption of tremor events occurred in mid-September, but no eruption was observed. In October, seismicity returned to normal levels and no tremor events were recorded. Seismic activity increased in November after about one and a half years of quiet. Seismic activity increased again to more than 400 recorded events during January. No eruption has yet been observed. About 200 events per month were recorded in November and December, after over a year of fewer than 50 events per month. In February, 1,121 seismic events were recorded, the most in any month since 1967, when JMA began routine measurements at the volcano. Seismicity has irregularly but gradually increased in the past 14 years (figure 2). No eruption has occurred during the current increase in seismicity. Figure 2. Yearly means of Tarumai's monthly seismicity, 1967-80. Courtesy of JMA. Local seismicity began to increase in November 1980 and the number of events per month reached 1,211 in February 1981 (figure 3). Seismicity began a gradual decline in early March and by mid-March had reached the usual average of fewer than three recorded earthquakes per day. Figure 3. Monthly numbers of days with eruptions (top), tremor events (center), and recorded earthquakes (bottom) at Tarumai, January 1978-March 1981. Courtesy of JMA. Only 87 events were recorded in March. Although the December 1978-May 1979 eruption accompanied the last major increase in seismicity, no eruption has occurred during the current, much larger increase [but see 06:04]. Seismicity declined to its usual level of fewer than three recorded earthquakes per day in March and remained at this level through April. Although no volcanic activity apparently had accompanied the peak of seismicity in February (1,211 events), subsequent investigation revealed that a weak steam explosion had occurred on 27 February or a few days earlier. On the morning of 27 February an All Nippon Airways crew reported that they saw radially darkened snow on the SE part of the summit area. Yoshio Katsui visited the summit on 9 April and found a single layer of gray ash in the snow. The ash layer was only 0.3-0.6 mm thick at the crater rim. The total volume of ejecta was estimated to be no more than 400 m3. Information Contacts: JMA, Tokyo; Y. Katsui, Hokkaido Univ. Local earthquake swarms occurred 24 January-18 February. The JMA seismometer, 1.1 km NE of the summit cone, recorded 30 events in January and 124 in February. Epicenters were located at the NW somma using data from five Hokkaido University seismometers. A white plume constantly rose ~100 m.
Tarumai's strongest earthquake swarm of the past two decades began in late 1980, peaking in February 1981, when more than 1,200 shocks were recorded. Late that month ~400 m3 of ash was deposited near the crater by a very small eruption. Seismicity then declined, and the number of local events has averaged <10/month in the last few years (figure 4). Figure 4. Monthly number of earthquakes at Tarumai, January 1967-January 1988. Courtesy of JMA. The number of volcanic earthquakes beneath Tarumai stratovolcano (on the rim on Shikotsu caldera) increased in June and July. There were 13 events on both 8 and 10 June. A total of 64 earthquakes was recorded in July. 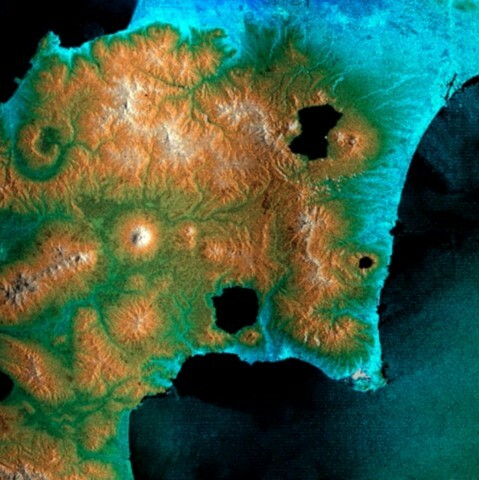 The 13 x 15 km Shikotsu caldera, largely filled by the waters of Lake Shikotsu, was formed during one of Hokkaido's largest Quaternary eruptions about 31-34,000 years ago. The small andesitic Tarumaesan stratovolcano was then constructed on its SE rim and has been frequently active in historical time. 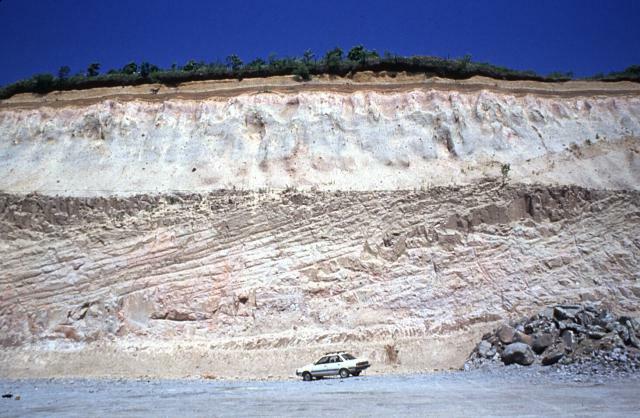 Pyroclastic-flow deposits from Tarumaesan extend nearly to the Pacific coast. Two other Holocene post-caldera volcanoes, Fuppushidake (adjacent to Tarumaesan) and Eniwadake (on the opposite side of the caldera), occur on a line trending NW from Tarumaesan, and were constructed just inside the caldera rim. Minor eruptions took place from the summit of Eniwadake as late as the 17th century. The summit of Tarumaesan contains a small 1.5-km-wide caldera formed during two of Hokkaido's largest historical eruptions, in 1667 and 1739. 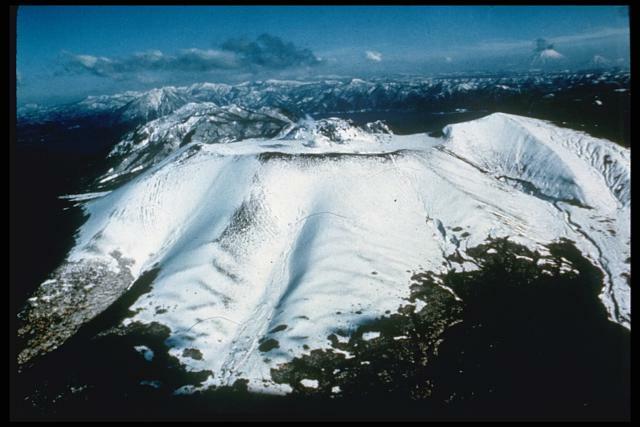 Tarumaesan is now capped by a flat-topped summit lava dome that formed in 1909. Nakagawa M, Masuda K, Katsui Y, 1994. Recent eruptions of Eniwa volcano, post-Shikotsu caldera, southwestern Hokkaido. Bull Volc Soc Japan (Kazan), 39: 237-241. There is data available for 43 Holocene eruptive periods. There is no Deformation History data available for Shikotsu. There is no Emissions History data available for Shikotsu. Tarumai volcano, seen here from the SW, is a small stratovolcano that is capped by a flat-topped lava dome formed during an eruption in 1909. The dome was emplaced in a small caldera, the shallow bowl at the summit, that was created during major explosive eruptions in 1667 and 1739. Tarumai volcano is a small stratovolcano constructed on the SE rim of the 13 x 15 km Shikotsu caldera. 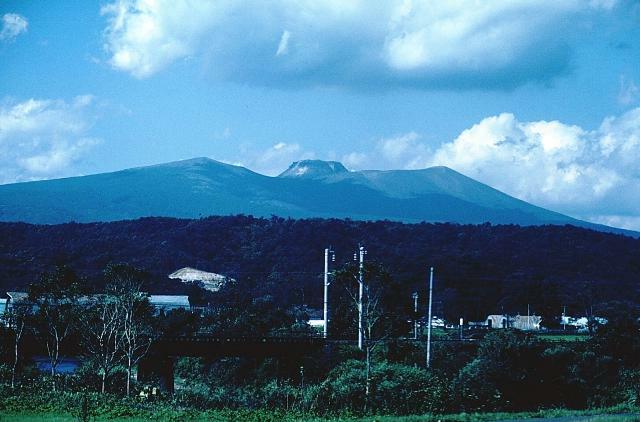 The summit of Tarumai contains a small 1.5-km-wide caldera that was formed during two of Hokkaido's largest historical eruptions, in 1667 and 1739. It is capped by a flat-topped summit lava dome that grew in 1909. Tarumai has been Hokkaido's most active volcano in historical time. Two other Holocene post-caldera volcanoes occur at Shikotsu, Fuppushi (adjacent to Tarumai) and Eniwa, on the opposite side of the caldera. Shikotsu caldera, seen in an aerial view from the SE with Yotei volcano on the center horizon, is a 13 x 15 km caldera filled by Lake Shikotsu. Following formation of the caldera more than 30,000 years ago, three small stratovolcanoes were constructed along a NW-trending line cutting across the caldera. 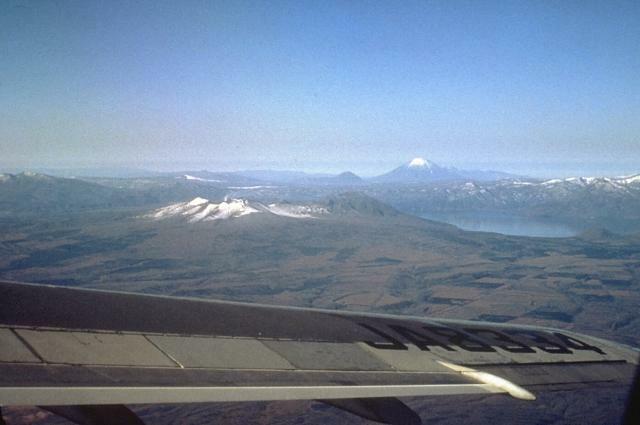 Snow-capped Tarumai volcano (left center) grew near the SE rim of the caldera, along with Fuppushi volcano to its right. A third volcano, Eniwa, was constructed on the NW caldera rim, at the far side of the lake. These thick pyroclastic-flow deposits were produced during the major eruption that formed the 13 x 15 km Shikotsu caldera. The eruption produced 125 cu km of rhyolitic tephra and pyroclastic flows. Pyroclastic flows traveled as far as 40 km from the volcano, reaching the Pacific coast over a broad area. This outcrop is located 15 km ENE of the caldera. Photo by Ryuta Furukawa, 1993 (Hokkaido University). Large Eruptions of Shikotsu Information about large Quaternary eruptions (VEI >= 4) is cataloged in the Large Magnitude Explosive Volcanic Eruptions (LaMEVE) database of the Volcano Global Risk Identification and Analysis Project (VOGRIPA).